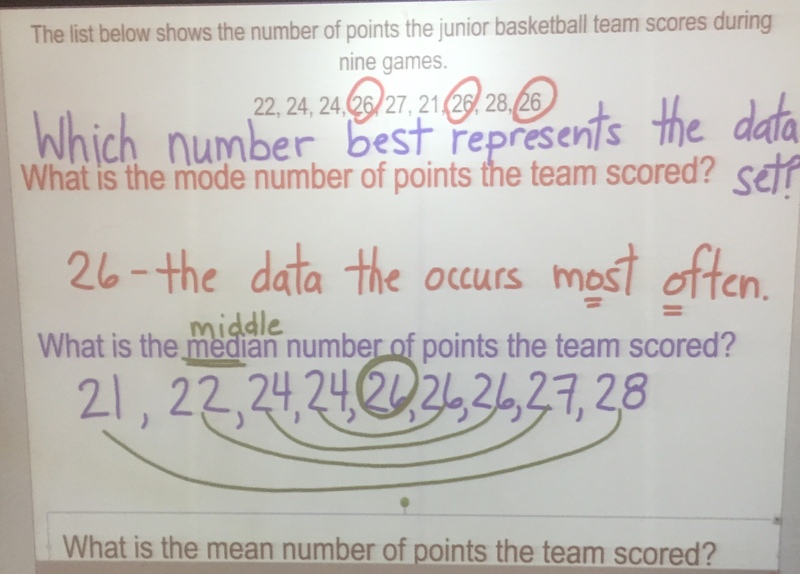 The other day in a junior classroom the classroom teacher and I gave the students this task as a diagnostic for Data Management. It is a question I adapted from one I found in the Primary EQAO Assessment. The list below shows the number of points the junior basketball team scores in 9 games. What is the mode number of points the team scores? What is the median number of points the team scores? What is the mean number of points the team scores? Mean is not introduced until Grade 5, but we decided to include it in the diagnostic along with mode (Gr 3) and median (Gr 4) since we would be working with all 3 in future lessons. we told the students not to worry if they did not know something, because this information was to help us decide about future lesson. 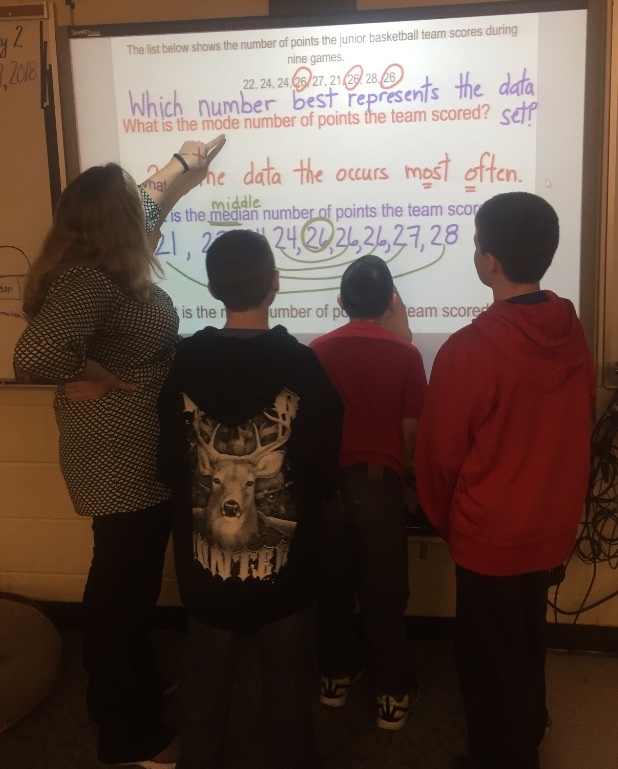 The teacher and I walked around the classroom gathering observations and had a brief discussion about what we were seeing and what we would do next. After a reasonable amount of time, we gathered in the work and ended the class with a brief consolidation. 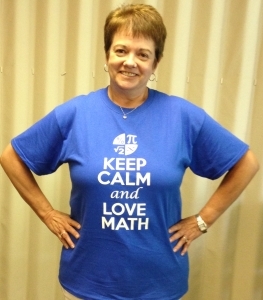 Most students recognized the math terms, but had forgotten what they were. I began the consolidation by saying that data such as this is often described by using one number only. Then I asked the students to write down one number that they thought best described all of the scores. Many of the students chose 26 because it was the number that appeared there the most. Voila! The mode appears. Some students chose 28 because it was the highest and some chose 21 because it was the lowest. One students said she chose 24 because it was a number where there were some numbers that were higher and some that were lower. 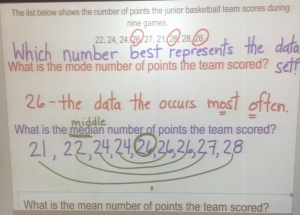 Although the median also happens to be 26, what great student thinking to use to provoke a discussion about median. We did not get into “mean” that day, but you can bet that we are going to return to that idea of “a number somewhere in the middle where there are some numbers higher and some numbers are lower”.